I am sometimes accused of being a perfectionist. It’s true that I like things done “right” and to a “high standard”; the best that it can be done. But I learnt a long time ago that the concept of perfectionism is a flawed one; it implies that there is one right way and is, in reality, unattainable and therefore, demotivating, stressful and unfun (yes, that is a word). Excellence is never an accident. It is achieved in a training room only as a result of an unrelenting and vigorous insistence on the highest standards of performance. It requires an unswerving expectancy of quality. Excellence is contagious. It establishes the criteria for planning. It charts the direction of the programme. It effects and infects everyone. It provides zest and vitality. 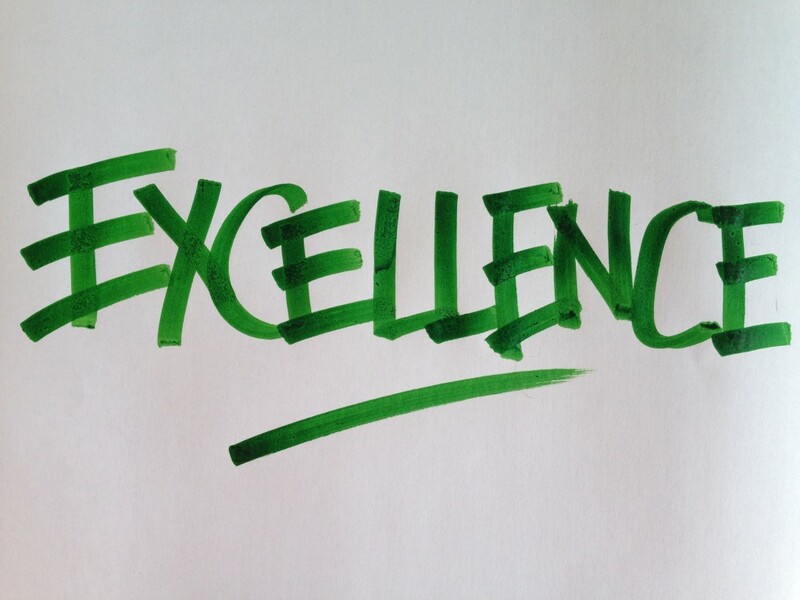 Once achieved, excellence has the ability to permeate every aspect of your life. Excellence demands commitment and a tenacious dedication from you. Once it is accepted and expected, it must be nourished and continually reviewed and renewed. It is a never ending process of learning and growing. It requires a spirit of motivation and boundless energy. It is always the result of a creatively conceived and precisely planned effort. Excellence inspires; it electrifies. It potentialises every phase of the learning cycle. It unleashes an impact which influences every presentation, every activity, every visual aid, every participant. To instill it can be challenging; to sustain it, even more so. It demands adaptability, imagination and vigour. But most of all, it requires from you a constant state of self-discovery and discipline. Excellence is a state of mind put into action. It is a road-map to success. When a climate of excellence exists, all things come easier… and enhanced learning and pride are the end results. Excellence in a training room is important: because it is everything.